Carla Pascoe is an Australian Research Council DECRA Fellow at the University of Melbourne. Her research focuses on histories of childhood, menstruation and motherhood in twentieth-century Australia. 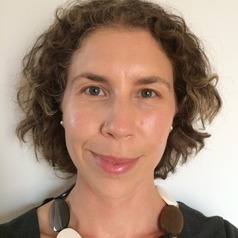 Her publications include Spaces Imagined, Places Remembered: Childhood in 1950s Australia (2011) and Children, Childhood and Cultural Heritage (2013) with Kate Darian-Smith. Carla's published work on the history of menstruation includes “A ‘Discreet Dance’: Technologies of Menstrual Management in Australian Public Toilets during the Twentieth Century”, Women’s History Review (2014); “The Bleeding Obvious: Menstrual Ideologies and Technologies in Australia, 1940-1970”, Lilith: A Feminist History Journal, 20 (2014) 76-92; and “Silence and the History of Menstruation”, in Old Stories, New Ways, Oral History Association of Australia Journal No 29, 2007. Her latest research project is creating and analysing oral histories of Australian motherhood from 1945 to the present.